Online invoicing has never been easier. PayPal makes it easy to send professional, customized invoices to your customers. In a few clicks, customers can pay you securely, and you typically receive your money in just minutes. Set up and send an invoice in minutes. You can send through your own email or share a link. 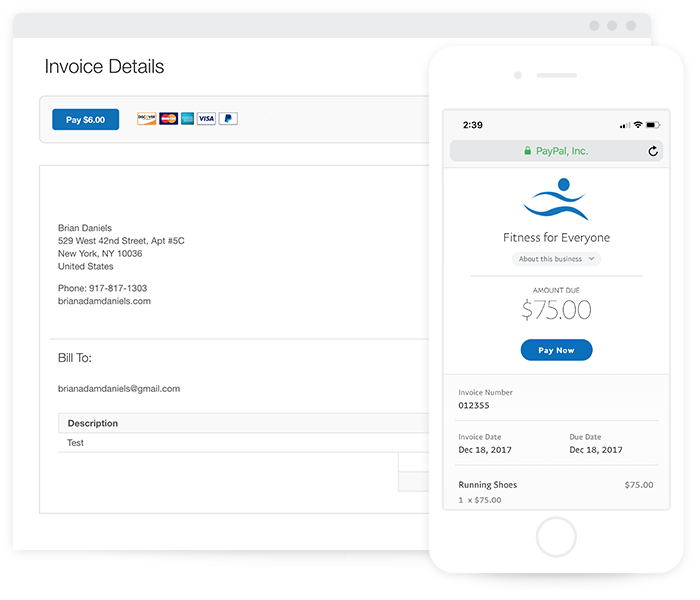 Use your own logo and customize the fields of your invoice template to make it fit your business. Easily organize, track, and manage a complete history of each invoice online. You can also send out reminders on unpaid invoices. *Fees subject to change. Learn more about fees. 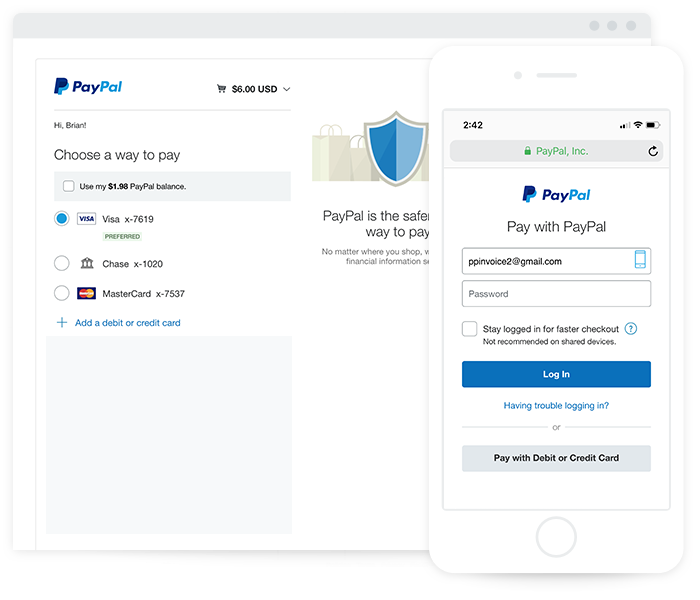 Your customers don't need a PayPal account to make a payment. Your customers can choose to pay via debit or credit card, or via their PayPal account. They’ll love how easy and secure it is to pay. PayPal Invoicing comes pre-loaded with features. Sign up for a PayPal Business Account, or log in if you already have one. Create and send an invoice from the PayPal website or mobile app. PayPal sends an email to your customer with a link to the invoice, or you can share a link on your own. Customers can pay with their credit or debit card, or their PayPal account. We’ll notify you when the money lands in your PayPal account. 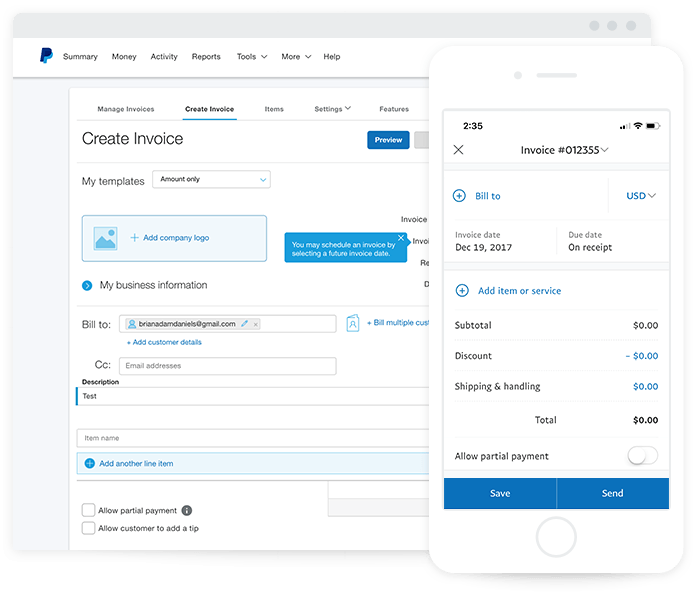 With the PayPal Business app, you can create and send invoices, track unpaid invoices, send reminders, and stay on top of payments all on your mobile phone. 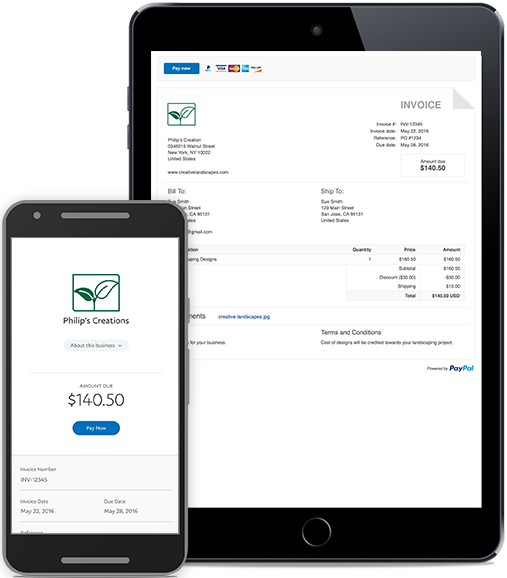 Start sending invoices quickly and easily with PayPal. 1 Source: comScore, based on a survey of 1,226 US and Canadian small- and medium–sized business owne­­rs asked how long on average it takes to receive a payment on an invoice from the time the invoice is sent out, using their primary invoicing tool, December 2017. 320 of surveyed businesses are currently using PayPal. Responses were based on 12 months of invoicing payments from January to December 2017.